This entry was posted on March 12, 2013 by Avel Ureño. LED technology produces solid-state lighting products that do not require filaments like traditional incandescent light bulbs. 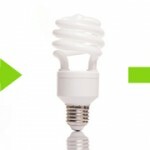 An LED bulb consumes up to 90% less power than an incandescent bulb, and it converts 80% of electrical energy to light. This remarkably low power consumption is its most obvious and well-known strength, but many people may not know that this technology can produce quite a few other long-term benefits for typical homeowners. LED lighting can lower monthly power bills substantially because of its vastly superior energy efficiency. While they cost more to purchase initially, the bulbs do not require frequent replacement like incandescent bulbs. Their typical lifespan is 50,000 hours; an incandescent bulb only lasts about 2,000 hours. Even a compact fluorescent bulb only offers 7,000 hours of light. If used for eight hours per day, a single LED light bulb can last up to 17 years. Light-emitting diode bulbs do not contain delicate filaments, glass, or tubes. They are durable and do not break easily during transport or handling. This helps to protect pets and children against accidents and injuries related to decorative or holiday lighting. Cool-burning lights operate safely and reduce fire risk. Many product options are available including various sizes, styles and decorative colors. Solid-state bulbs are easier to use and offer more options than compact fluorescent bulbs. Unlike other light sources, LED lighting will not fade colors in artwork, fabrics or household décor. Unlike compact fluorescent bulbs, this type of lighting does not contain toxic mercury that could potentially leak after disposal and contaminate ground water. LED lights do not produce ultraviolet or infrared emissions, and they generate fewer greenhouse gases. They are ideal for homes using alternative energy sources such as solar or wind power. Most material components of LED bulbs are 100% recyclable, and due to the longer product life, there is less landfill waste. Energy officials predict that the long-term benefits of LED lighting will drive the demand for more products and set the stage for a bright future. As builders, governments, and everyday homeowners shift towards more cost-effective, eco-friendly options, this energy-efficient lighting alternative is expected to replace incandescent lighting and become the new global standard.